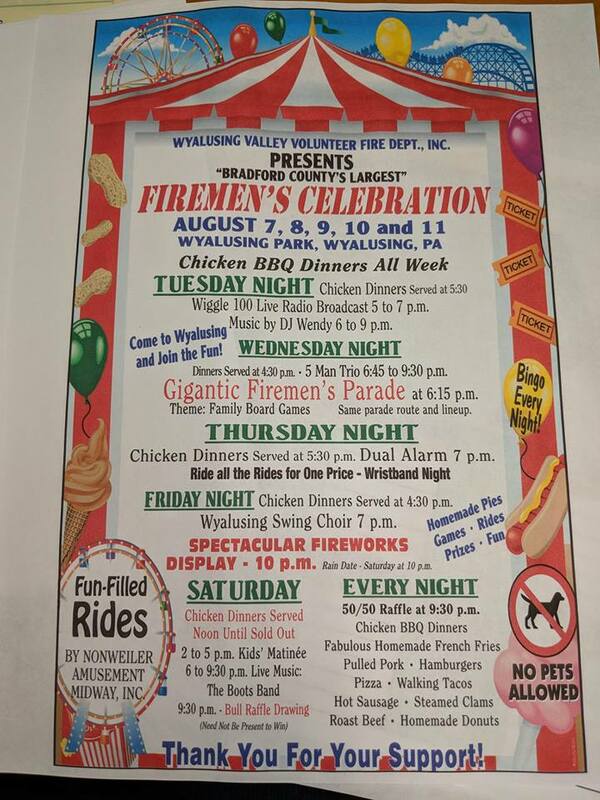 Wyalusing Valley Volunteer Fire Dept will be holding their annual Firemen’s Carnival from Tuesday, August 7th through Saturday, August 11th, located at Wyalusing Borough Park. 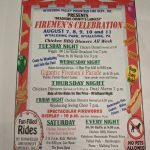 The five day carnival will have delicious food including Chicken BBQ every night, exciting carnival rides for all ages by Nonweiler Amusements, nightly entertainment, carnival games and Bingo, and much more. The annual Fireman’s Parade will take place on Wednesday starting at 6:15pm. Thursday night is Wristband Night where pay-one-price carnival ride wristbands will be on sale.